Miami, Florida-based retirement planner and financial advisor Michael Ladin has published a new blog aimed at helping retirees learn how to utilize life insurance policy options to benefit their retirement plans in a variety of ways that may save money in the long run. Utilizing the right life insurance options available to retirees can be integral to a successful retirement plan, and should not be overlooked by anyone nearing or at retirement age. Retirees can utilize life insurance to benefit themselves and their families in a variety of ways, according to Miami, Florida-based retirement planner Michael Ladin of Ladin Financial Group. In a new blog titled, “Life Insurance Strategies That Can Benefit Retirees,” Ladin discusses life insurance and the role it plays in providing a financial upper hand in retirement, as well as protecting heirs from losing inheritance money to taxes. Ladin says that many retirees had term policies during their working years that expired after their children reached adulthood, and some dropped their coverage believing that their investments had grown sufficient, only to find out later just how advantageous their policies could be in retirement. Many retirees have never had life insurance. Providing benefits for a surviving spouse or young children from a second marriage. Helping with long-term care expenses. Helping heirs pay estate taxes. Helping heirs pay taxes they’ll face from inherited IRAs and 401(k)s.
Additionally, many seniors have business interests, in which case life insurance may be helpful or necessary to hedge against business interruption upon the death of a business owner, partner or key employee. While various of types of life insurance policies are available under different names, they all fall into one of two categories: term policies and permanent policies. Term life insurance policies are the least expensive since they last for a specific number of years, and cost more for longer periods. Permanent life insurance can be significantly more expensive, but it lasts for life— regardless of the policy holder’s age at death, their survivor will receive the death benefit payout. According to Ladin, years ago people nearing or in retirement bought life insurance to help pay estate taxes. But in 2017, the first $5.49 million of an estate will be exempt from estate tax, making it an expense that won’t be a concern for many. People with estates valued at more than $5.49 million may choose a survivor life or second-to-die policy, a type of insurance coverage that pays after the second spouse dies. This is a less expensive option because a couple has twice the chance of living longer than average than an individual. Premiums on life insurance designed for estate tax payments may seem expensive but usually offer a good return on investment for families, since it is typically far less expensive to buy life insurance than to liquidate assets to pay taxes upon a person’s death. Insurance policies purchased for estate taxes are generally purchased within an irrevocable life insurance trust, therefore the benefit is not calculated in the taxable estate. In his blog, Ladin describes potential difficulties some retirees may experience trying to get a life insurance policy, and how to find one that best caters to their needs. For instance, life insurance can help one’s heirs pay taxes that will be due on tax-deferred retirement accounts such as traditional IRAs and traditional 401(k)s even where there is no estate tax. Another purpose for late-in-life life insurance could be to replace pension income that abates after the beneficiary's death, to pay off a mortgage or other debts, to pay for funeral expenses, or to pay for caring for an adult child with a disability. Some permanent life insurance policies offer riders to fund long-term care, which may be a better deal than ordinary long-term care policies. 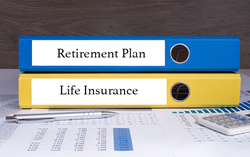 Ultimately, Ladin says that utilizing the right life insurance options available to retirees can be integral to a successful retirement plan, and should not be overlooked by anyone nearing or at retirement age. To learn more, visit Ladin’s blog post, visit the Ladin Financial Group website, email Michael(at)ladinfinancialgroup(dot)com or info(at)ladintax(dot)com, or call (305) 444-4898. Ladin Financial Group is located at 2525 Ponce De Leon, Suite 300, Coral Gables, FL 33134. Ladin Tax and Financial Group, a Registered Investment Advisory firm in Miami Florida, focuses on assisting Florida business owners, Baby Boomers and retirees with sound retirement income strategies that work in a tax efficient way. 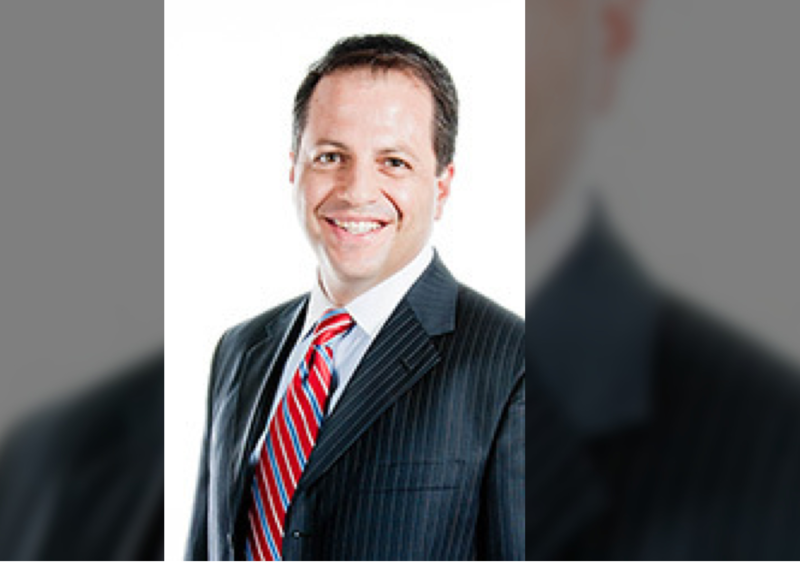 Founder and CEO Michael Ladin is experienced in asset protection, wealth transfers, estate planning life insurance and premium financing, and holds a Series 65 License which allows him to be is registered in Florida as an Investment Advisor Representative. The host of Retirement Radio’s “Strategies for Financial Success” on NewsTalk 610 WIOD, Saturdays at 7 a.m., Sundays at 1 p.m. Ladin co-authored the best-selling book, “The Ultimate Success Guide,” with Brian Tracy. He has been quoted in major publications, such as the Wall Street Journal and USA Today. Since beginning his career in the financial services and insurance business more than 20 years ago, Ladin has built a reputation as a respected public speaker and consultant. Ladin is a financial professional experienced in the most pressing issues facing today’s retirees and has been nationally recognized as a top-producing financial and insurance advisor, representing the top tier of all financial professionals in the country.